From 2007 to 2012, Coney Island Ultimate ran an annual beach Ultimate Frisbee hat tournament on the historic beaches of Coney Island. Teams such as the Tilt-a-Whirls, Warriors, and Skee-Ballers competed in fun, sun, sand, and spirit for the honor of being crowned Coney Island Champions (and for Nathan's coupons). Today, Coney Island Ultimate is turning its attention to local environmental stewardship activities, in order to give back to the green and blue spaces that make Coney Island, and Brooklyn as a whole, so unique. Check the rest of this page, and our stewardship page for events! 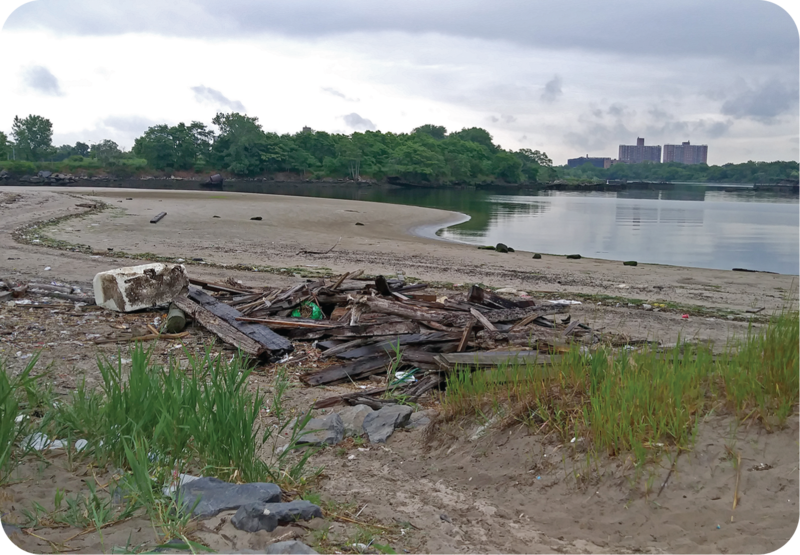 The shore along the Coney Island Creek is calm and serene, but also in need of help. Sign up to help pick up some beach trash for a short while. We'll also record citizen science data on what we’ve found. See the flyer for other details but sign up soon! And if the weather is nice, there’ll be time for beach disc after! Let’s contribute to a cleaner coastal environment!